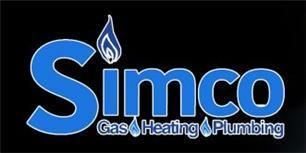 Simco - Central Heating Engineer, Fireplaces/Stoves, Plumber based in Wallsend, Tyne and Wear. Invoice history based on 79 reviews. Thank you for Visiting my Checkatrade Page. I offer a cost effective installation and repair service for all major domestic gas boilers including Glow-worm, Baxi, Vaillant, Ideal and Worcester Bosch. I am a Gas Safe registered company and all work is carried out by an up to date qualified and highly skilled engineer in accordance with current gas safety regulations. I continually monitor and respond to changes in Gas legislation and available technology in order to provide the most cost efficient and modern solutions for our customers. I can install and replace individual radiators, heated towel rails, thermostatic radiator valves or entire systems. I also install, service and repair fires, cookers and hobs for leading makes such as Valor, Royal Cosy, Flavel, CVO, Hotpoint, Stoves, Zanussi, Belling, Rangemaster and many more. Whether you are a landlord or a homeowner who is looking to sell a property, I can offer a full, reliable safety check of all appliances for complete peace of mind. I can offer a low-cost maintenance package to homeowners or landlords, including service contracts, emergency repairs and magna cleanse system flushing. I can cover all the aspects as for mains gas and can offer a timely response and an efficient service. Newcastle Upon Tyne, Gateshead, Wallsend, North Sheilds, Whitley Bay, Blyth, South Sheilds and Tyne & Wear.